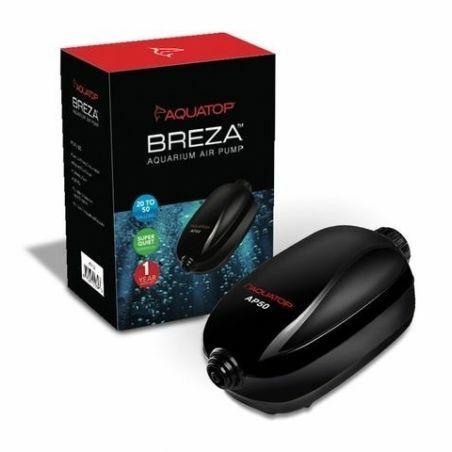 The entire AQUATOP AP Series includes powerful yet quiet Aquarium Air Pumps that offer super low energy consumption. The AP-100 is the largest in the series and is capable of aerating aquariums ranging from 40 - 100 gallons, and the AP-100 includes a control knob for an adjustable flow rate. AQUATOP’s AP Series of aquarium air pumps give your aquatic creatures the oxygen they need in order to thrive. An air pump system adds air bubbles, creates current and agitates the water to help in filtration. An air pump also aids in maintaining stable and healthy pH levels inside the aquarium.